We expand our horizon daily. 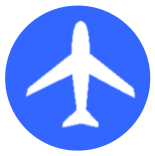 More than 10 years of development for leading companies in safety critical domains. This is us. Das Projekt Cocomo wird mit EFRE/ESF Mittel durch die Europäische Union gefördert. Humatects kooperiert in diesem Forschungsprojekt mit dem Informatikinstitut OFFIS zu dem Thema Unterstützung entfernt voneinander arbeitender Teckniker durch Wissensbasierung und Erweiterte Realität (Augmented Reality). Es soll ein Prototyp des verteilten Softwaresystems Cocomo entwickelt werden. Cocomo ist konzipiert als ein Kooperationssystem, über das Techniker eines Unternehmens oder einer Gruppe kooperierender Unternehmen miteinander verbunden sind und sich unabhängig von Ort und Zeit gegenseitig bei der Durchführung technischer Aufgaben unterstützen können. 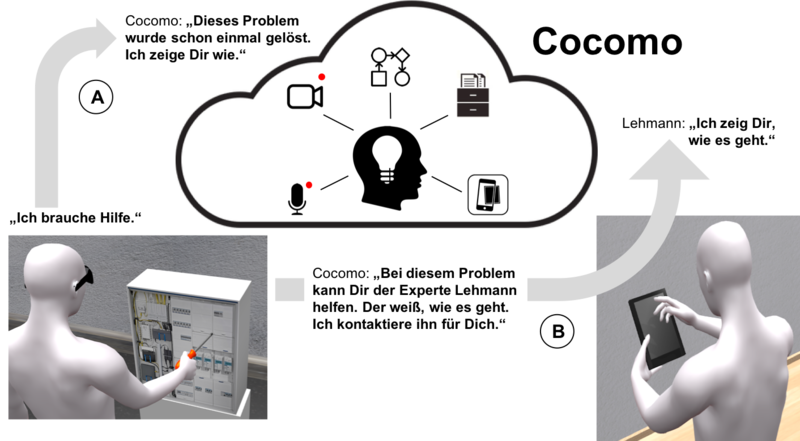 Eine wesentliche Komponente von Cocomo ist ein sogenannter lernfähiger wissensbasierter Assistent, der eine maximale Problemlöseeffizienz ermöglicht. Die Kommunikation zwischen den Technikern wird über mobile undtragbare (wearable) Geräte ermöglicht. 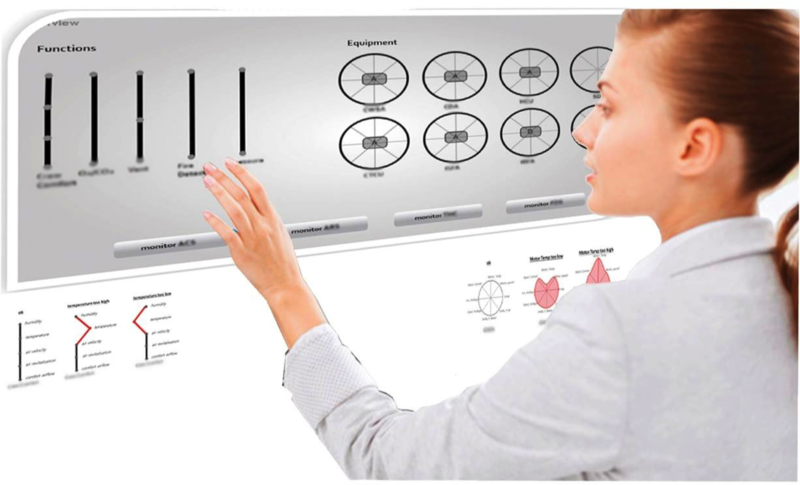 Human-Machine Interaction for Real-Time Monitoring. For Airbus we design and implement human-machine interaction for real-time monitoring of complex processes. 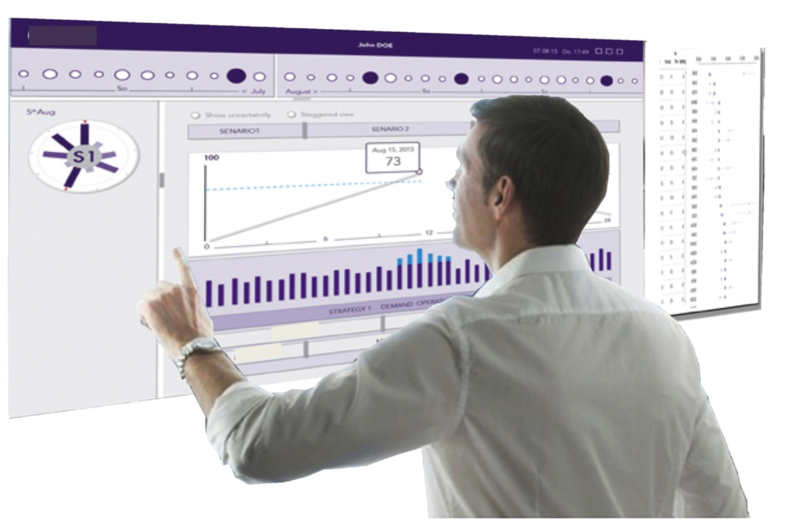 Human-Machine Interaction for Resource Planning Software. We design human-machine interaction for efficient resource planning. Distributed Cooperation via Stationary and Mobile Devices. 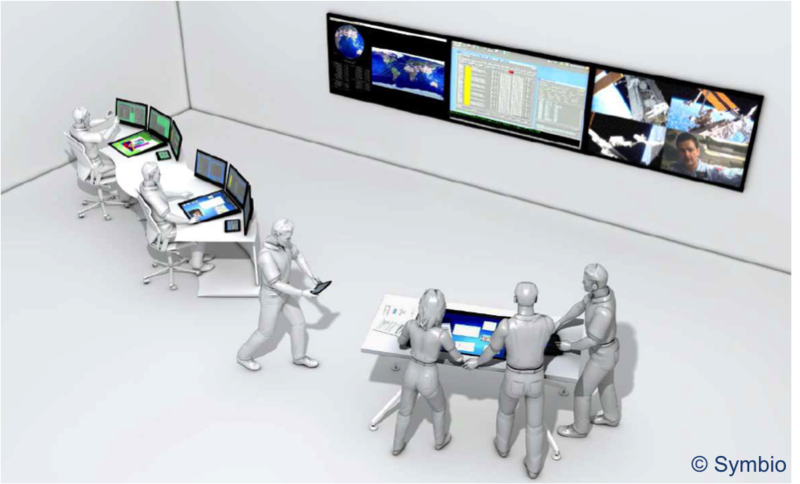 At OFFIS the Humatects team designed and implemented a Collaborative Work Space software to support cooperation between distributed satellite ground operators. 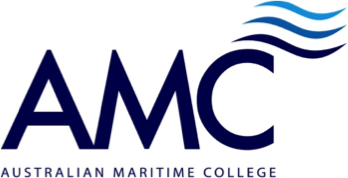 This has been done in cooperation with Symbio, Terma and Astrium. Wearable Devices for Harbour Pilots and Maintenance Personnel. 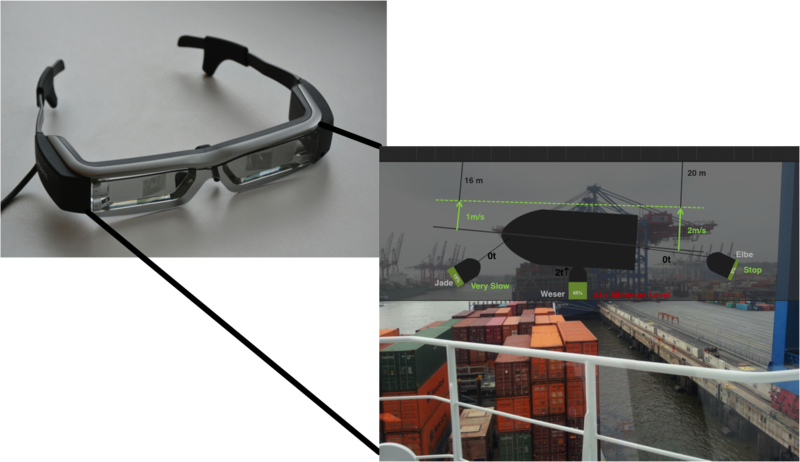 At OFFIS the Humatects team designed and implemented a Smart Glasses application to support harbour pilots during berthing manoeuvres. Starting from this experience Humatects develops applications running on various wearable and mobile devices to support technicians in remote maintenance tasks.